Become a Race Cadet and get inspired to have a go at dinghy racing with the help of some of the Island’s top dinghy coaches. It is perfect for anyone with at least the RYA Stage 3 certificate and offers plenty of time on the water to refine sailing techniques, build confidence and have great fun getting competitive. There are loads of opportunities to join Clubs on the Island and to take part in racing events, our Race Academy gives sailors all the skills and knowledge they need to go on to compete at Club and Squad level. Successful stories from our Race Cadets include Ealish Green who is now racing Toppers at national level and last year qualified as an RYA Dinghy Instructor. 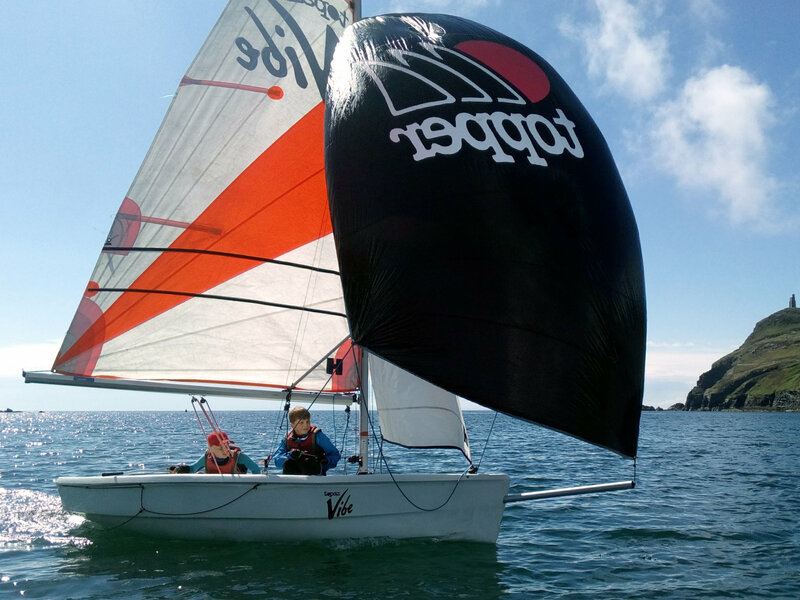 Lots of our Race Cadets become Manx Youth Sailing Squad members, including Charlie and Tom Whitbread, Teddy Dunn (who is currently ranked 6th in the UK RS Tera rankings), Peter Cope (currently 6th in UK RS Tera rankings), Nickolas Ellis, Georgia Harding and many more. Gwen Thornton and Georgia Harding represented the Buchan School at the IAPS Regatta in Weymouth in 2016. 7th Wave Instructors Tim Chan and Ben Batchelor were both Race Cadets once upon a time a few years ago too! Race Academy consists of four Saturdays of race training. Sailors get maximum benefit from 7th Wave Academy by attending all four days, but if you can’t make all the dates please join us for the ones you can. The fee is £120 per weekend or £400 if all four weekends are booked in advance. 2019 dates are: 11 & 12 May, 8 & 9 June, 13 & 14 July and 17 & 18 August.